Many people are surprised when their hot water heater fails. Coming home to a flooded garage or a water-damaged house is never part of a day’s plan. In fact, it’s an emergency! Plumbers in Sacramento, including Always Affordable Plumbing, handle a lot of water heater-related calls, and they agree on at least one thing: Aging water heaters typically let you know when they’re entering a danger zone. Every tank is different, so water heater failure will happen for a lot of different reasons. That said, here are AAP’s Best Plumber Tips on the five signs to watch for. Keeping an eye out for these will lower your risk of a nasty surprise. If you see one or more of these signs, consider replacing your tank before it fails. This is an easy one to determine. You may remember when you bought and installed your hot water heater. Or you may be able to figure out how old it is by checking its serial number. In some cases, the first four numbers will show the month and year the unit was made. The closer a water heater gets to 20 years old, the more likely it is to fail. Many heaters are expected to only last eight to 10 years. Water heater failure due to age is the most common reason. This should be an obvious one. 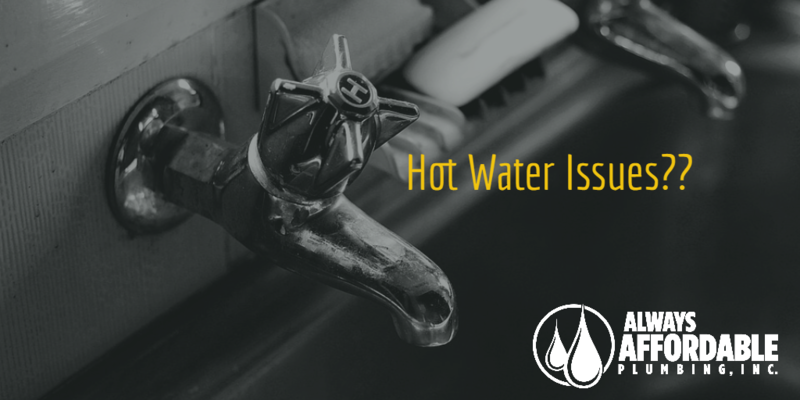 Your hot water heater has one job: to heat water! If your showers are lukewarm no matter how far your crank the handle, something is wrong. A water heater failure may not be far behind. You may think that you would easily notice any leaks, but a trickle can be hard to spot if you’re not looking for it. Even a small amount of water can do significant damage if left to run constantly. Inspect your heater for any signs of leakage. Remember that even tiny leaks can become much bigger. Your water should be free of debris. Clean water in the tank is quiet, so pinging, popping, or knocking sounds reveal that something else is in there, too. That something is sediment, which builds up as a tank ages. Left to sit, the sediment can make a water heater work harder, putting more stress on it. More stress means a shorter lifespan. In addition to being clean, water should be clear. If you notice rust when you turn on the tap, your hot water heater may be close to failure. Rust eats away at steel, weakening it and causing leaks or worse. Notice any of our water heater failure warning signs? CALL ALWAYS AFFORDABLE PLUMBING, 24 hours per day, to have us check it out!